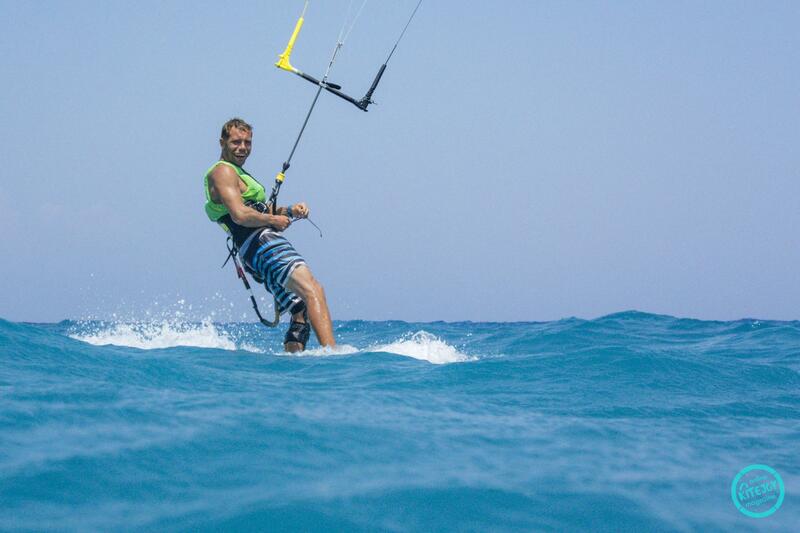 We Have Prepared a list of best places for Kitesurfing in October for you. This spots selection is based on our experience and best riders all over the world recommendations. With each summer season, more and more novices rapidly fall into the ranks of kitesurfing lovers. But this kind of water sports heavily depends on certain Weather conditions. A permanent wave, a favourable wind, a safe sea ground, and all the usual set of welcoming conditions for comfortable recreation on a coastal territory are essential. We are happy to help you visit the best kiting spots this summer. Here is information about these spots for September-October - it's not too late to try and chase the wind! A strikingly picturesque place for the kiteboarders to have a great time improving their skills. The beach is in the Lisbon area, while the neighbouring town is Cascais. The shore is at 10 km (6,2 miles). There are several ways of getting from Lisbon to the coastal town - by train, taxi or bus. If you are looking for a more cost-effective way, you can stay in Cascais, or in a nearby village. The lodging here is cheaper, and travelling to the shore is less expensive. If you are new to kiting there are a plenty of amazing surfing schools just beside the beach thanks to seasoned instructors. The "liplock" of the two seas, the Mediterranean and Aegean, a small island in the southernmost part of Rhodes, joined to it by a sandy neck of land. This spot has proved itself as an excellent place for windsurfing and kitesurfing, thanks to strong and stable winds. It is peculiarly situated on a shore of two zones for different styles of surfing. Prasonisi is rightly known as the windiest spot on Rhodes. The spot is in the south-eastern part of Tenerife island, in a small village of El Medano, near the famous Las Americas health resort. Strong winds are always present as well as waves; thus it has gained special popularity with experienced windsurfers and kiters. The spot is located 2 km (1,2 miles) away from Corralejo resort in the northern part of the island of Fuerteventura. The beach lines out along the highway, dunes El Jable are on the other side. The Corralejo resort itself, where Flag Beach is situated, is very popular with adventure travelers; there are plenty of young people here, and people of all ages, for that matter, who do windsurfing, kitesurfing and diving. The place is appreciated by the most eminent windsurfers, such as Robi Nash and Bjorn Dunkerbeck. The spot has begun to pick up steam and is now well deservedly popular, not only with windsurfers but also among kiters in equal measure. For both of those, an excellent infrastructure has been created here. Spot is celebrated as one of the very best both for those who make their first-ever acquaintance with windsurfing or kitesurf and for those who are already confidently glissading and looking out for a good wave live. Nedar Dahab is translated from Arabian as “golden”. One of the best places for those who wish to learn windsurfing and kitesurfing. Smooth, warm water, wave zone, shallow waters and thermally laminar wind make the conditions perfect for surfers of any rate. There are professional station schools near the shore and instructors who gladly introduce you to these kinds of sport. 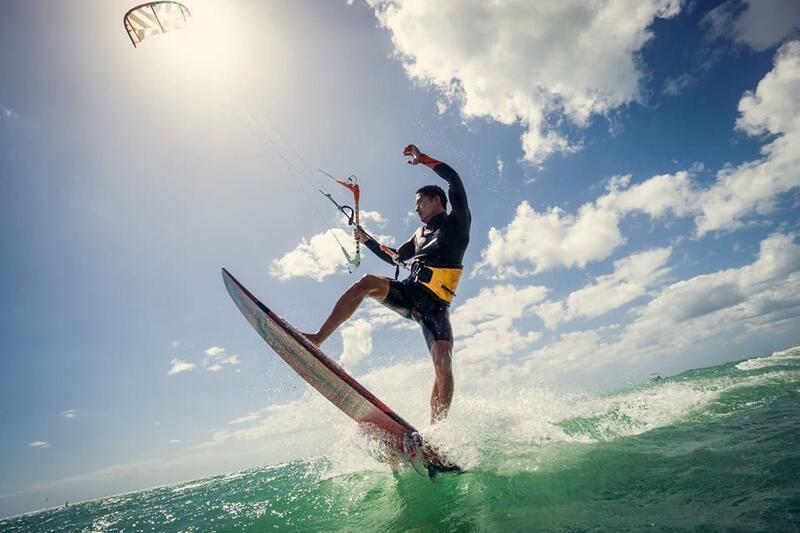 Considered the best spot for windsurfing and kitesurfing on the whole island of Mauritius. It is located in the southwestern part of the island at the foot of one of its main attractions, Brabant Mountain. The spot is truly unique due to its diversity of surf areas. There is smooth water with moderate wind chop and waves, different in their speed and size. Therefore, everyone will like surfing in Le Morne, regardless of his or her style and abilities. It is a tiny village near the Aegean Sea on the western coast of Turkey on the Çeşme peninsula. The bay is a true paradise for windsurfers and kiters from every corner of the globe. The bay of Alaçatı is unequivocally called a unique spot, combining ideal conditions for both novices and professional surfers. The specialty of the place is that there is a large area of shallow water only 1.5 meters (3,3') deep, stable winds, making it a truly unique place. From September to October is the season of Mistral wind (Or Maestrale as it is called by the locals), which is conceived on the coast of France and gets an additional speed-up nearing the junction of Sardinia and Corsica. Resulting effect is alike to the one of a draft in a gorge. A great place for kiting, TAIBA offers kitesufing waves and downwind tours from the end of the bay to the lagoon and beyond. The best surfing spot is called Taibinha. The best kitesurfing part is the downwind from Taiba to Paracuru. The wind is perfect and blows at season 18-28 knots, side-on-shore from 10-11 till around 15, then usually drops a bit, before sunset. Weather conditions are perfect as well with 25-27 degrees ocean and air temperature is 26-32. In Taiba, the center is located on the cliff and its imposable to kite there. If you come by kitesurfing downwind trip, you should stay outside, because the cliff creates wind shelter in the bay. You can kitesurf anywhere downwind or upwind from the cliff. Beach and sea surface in the village, are mostly sandy, with few small stones and sea shells. The beach is large at any tide conditions. Water conditions changing from big wind waves and powerful closeout beach break at high tide, to medium wind waves and chop at low tide. On the west side of the island, it is shallow flat-water riding areas that are waist-deep for seven miles out and up to 60 miles north and south in the Pamlico Sound. If you need to relaunch your kite or just take a rest then you can do so in the waist-deep waters; there’s a reason why thousands of people have come here to learn. It’s one of the best spots for beginners on the planet and there’s also some solid wave riding just a short walk away on the east coast of the island.